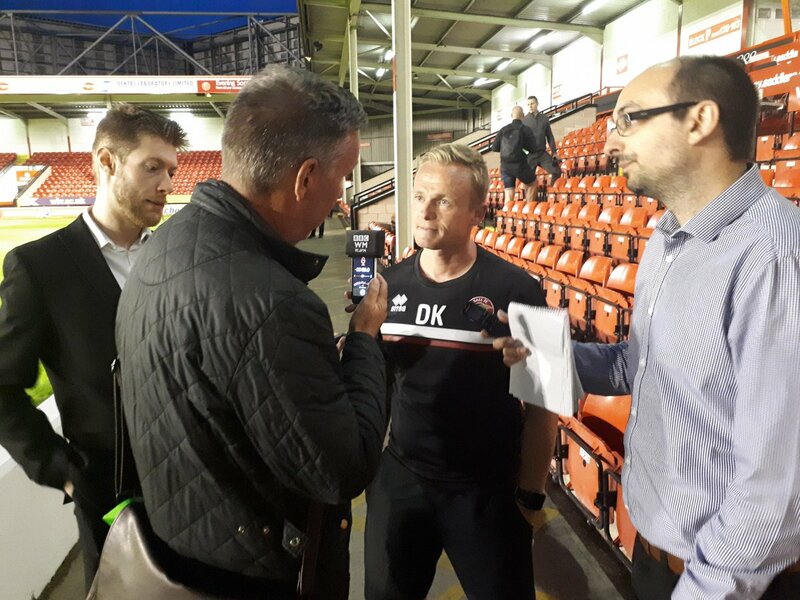 Walsall manager Dean Keates has spoken to the press following Saturday afternoon's televised Sky Bet League One draw with Fleetwood Town, and admitted that on another day his side would've taken three points but was delighted to see his side secure a well-deserved clean sheet. The manager, who watched as his side dominated much of the first-half - winning ten corners, insisted that the team is still a work in progress but is already showing plenty of positive signs as he now begins to look ahead to next weekend's League One clash with heavily-fancies promotion chasers, Sunderland. Keates, Speaking via the club's official website - Saddlers.co.uk - Dean said; "We chipped away and kept going but we’re pleased we kept a clean sheet. It’s massive for us. We’ve conceded a lot of sloppy goals. Other than Wallace’s volley in the second half, everything was easy saves for Robbo and he smothered that really well. "He’s a young man but by his standards last week, the second goal for Coventry, he held his hands up and said he should have saved it. We had two free headers; Russ should have done better and Jon Guthrie should have done better. Second half, they stepped up a little bit but we still created opportunities in the second half as well. "On another day maybe we could’ve had three points and the possibility of a penalty near the end of the game. I’ve seen it back and there’s been less given against us this season. Performance wise, it’s a lot better than it has been over the past few weeks. "Fairly dominant in the first half and we went in at half-time having had 10 corners, and added to that in the second-half. It’s a young squad up until Russ was added and he’s made a difference already – you can see that in the changing room. "They’ll keep growing but there’s going to be ups and downs over the course of the season. A lot of young lads from Premier League and Championship teams, and also non-league. It’s a work in progress."